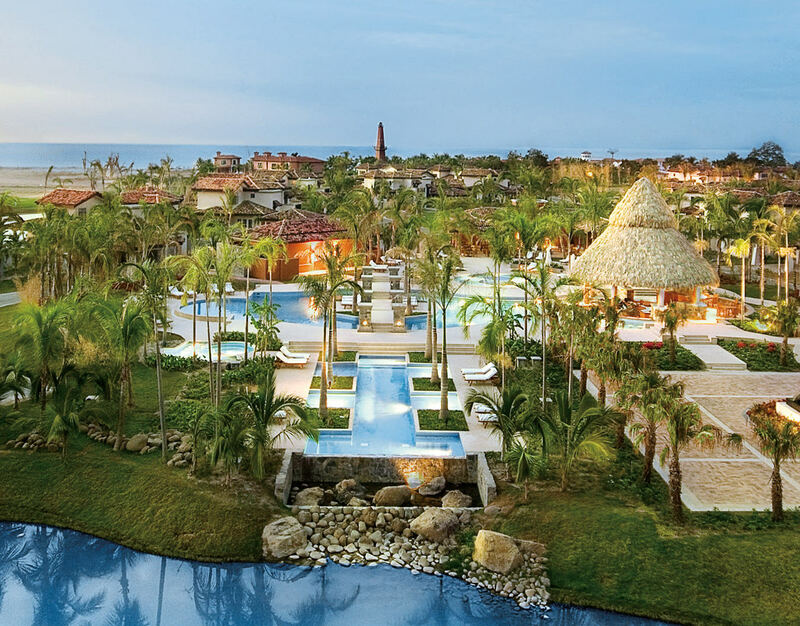 The Bristol Buenaventura resort is located on the shores of the Pacific Ocean. A canal runs through it. Panamax. It’s not in the dictionary, but if you know big boats and economics, you probably know it’s the term used to describe the maximum size of ship that can squeeze through the Panama Canal. That stretch of water carves through 82 kilometres of the country, connecting the Pacific to the Atlantic Ocean (via the Caribbean Sea), and visitors flock to Panama City to get a closer look from one of the locks along the way. For almost 100 years, Panama has been famous for that canal and its cross-country joining of the coasts, and the nation’s location is also a meeting of the Americas, north and south. Travellers have long sought out Panama for the big-game ocean fishing and the southerly rainforest, but in the city, signs of development are rampant. Take the new Trump Ocean Club International Hotel & Tower Panama, whose bowlike shape is set down in the centre of Panama City, making the skyline resemble futuristic Dubai or shiny Miami. Prosperity is also popping up in the form of world-class cultural institutions, like the Biomuseo, designed by Frank Gehry in his distinctive undulating patchwork style and slated to open in 2013; and, on the arts front, the International Film Festival of Panama, founded by Henk Van der Kolk, co-founder of the Toronto International Film Festival. Panama used to be a country sliced in two by a United States–controlled Canal Zone. 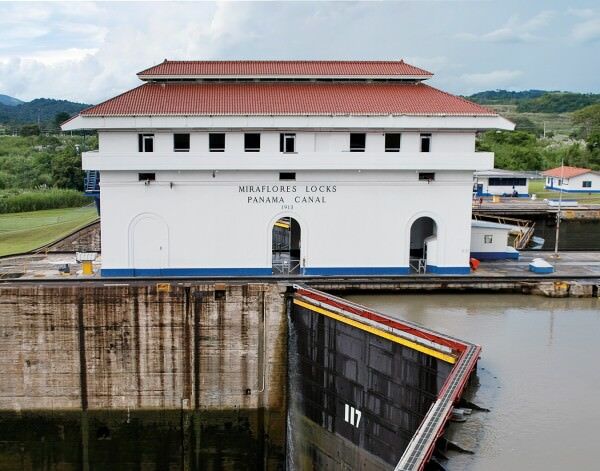 The days of strict divide ended in 1979, when the zone became jointly controlled (it was fully ceded to Panama in 1999), but locals will tell you, “Panama was born with a U.S. battleship as a midwife—and she only knew how to boil water.” Today, a visit to the Miraflores Locks can include lunch mere metres away from massive tankers and luxe cruise liners. Next year, more than 500,000 visitors are expected to stream to the historic site that was built by more than 70,000 workers (including Post-Impressionist painter Paul Gauguin), and 2014 will mark the canal’s centennial. Ancon Expeditions of Panama is the adventure company to go with, and it is part of the Virtuoso network of leading luxury travel specialists. With a focus on eco-tourism, Ancon conducts wildlife “safaris” up the canal that are as short as half a day, and two-week treks through the legendary Darien National Park, a UNESCO World Heritage Site, which takes you right to the border of Colombia. Another adventure worth taking is to El Valle de Antón, a town that inhabits the second-largest volcanic caldera in the world (after Tanzania’s Ngorongoro Crater), whose basin is a sweet spot of lush Panamanian wilds and provides an introduction to more than 960 species of birds and 15,000 species of plants. Here, vendors sell woven, white-brimmed panama hats (which are actually imported from Ecuador) as well as their country’s brand of bottled water, Panama Blue, its branding a tongue-in-cheek reference to Panama Red, the pure seed of cannabis that was cultivated here in the 1960s and ’70s. 109-room hotel to one of four poolside villas. This past spring saw the completion of a state-of-the-art 18-hole Jack Nicklaus golf course set within a scenic landscape dotted by coratu, mango, and palm trees in the foreground, with endless ocean beyond. The Miraflores Locks on the Panama Canal. Photo by Katie Nanton. Panamanian cuisine is rich in fish, and at the Buenaventura’s Tamarindo restaurant, executive chef Florian Dürre prepares barbecued salmon appetizers with miniature tomato caipirinhas on the side, black risotto with calamari, and staggeringly fresh local sea bass entrées. From the coast and back to the city again, Manolo Caracol restaurant in the beautifully preserved Casco Viejo neighbourhood of Panama City eschews menus for mystery dishes rolled out of the open kitchen; the same Spanish-inspired set menu is served to every dinner guest. Adventurous courses seem never-ending here, each a reflection of executive chef Manuel Madueño’s eccentric reputation. Garbanzo and feta salad appears, followed by lobster-shrimp bisque, tangy octopus bruschetta, locally grown heart-of-palm frites, and platters laden with rich pulled-beef risotto studded with slivered coconut. Francis Ford Coppola and Laura Bush have both dined here, but the usual clientele is a mixture of discerning foreigners and local business people with the foresight to book a table well in advance. Madueño is originally from a fishing family who lived near Cadiz in Spain, but he crossed the pond for Panama years ago and never looked back. It’s easy to see why. Top photo provided by Bristol Buenaventura.